Your business operations increasingly require monitoring. Whatever crops you grow, having an influence over and an insight into the processes involved in your business is paramount to the business itself, and the crops. To guarantee success and create continuity, it is important to provide the ideal growing conditions for your crop. The Priva Connext process computer allows you to connect and manage all of your processes and ensures that you are ready for the future. As a grower, you never stop trying to increase the yield and improve the quality of your crop whilst at the same time trying to keep your production costs down. No surprise then that horticultural automation is commonplace these days, whether it's measuring and control systems, or communications systems for pumps, motors, CHP installations, shading screens or different sensors. The Priva Connext process computer allows you to create a single, central network. Linking all of the systems and controls is not only incredibly easy, but also reliable and stable. Cabling is kept to a minimum, and the network can be monitored remotely and faults can easily be identified and rectified. The Priva Connext is supplied together with the Priva control module library, enabling you to take control of your energy facility, including your boilers, CHP installations, heat pumps, buffer tanks and CO2. The standard climate controls allow you to regulate a large number of conditions, such as ventilation, heating, screens, CO2, lighting and air treatment. In addition, your water supply and fertilizer dosing is controlled from a central location. The user-friendly Priva Office Direct operating programme allows you to see all of the conditions that you need at a glance. Everything is clear and organised. When linked to the management information system, Priva FS Performance, the Priva Connext process computer helps to put all of your business operations into focus. It allows you to combine climate data with data concerning labour, production and crops, enabling you to see your crop and business from a wholly different angle. From Intégro to the Connext process computer - simplicity itself! 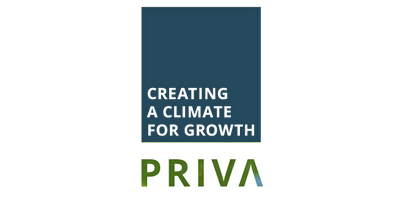 You can easily adapt your current Priva Intégro climate computer to the Priva Connext. This helps to extend the service life of your current Intégro and allows the updated process computer to expand with you. No reviews were found for Priva Connext. Be the first to review!